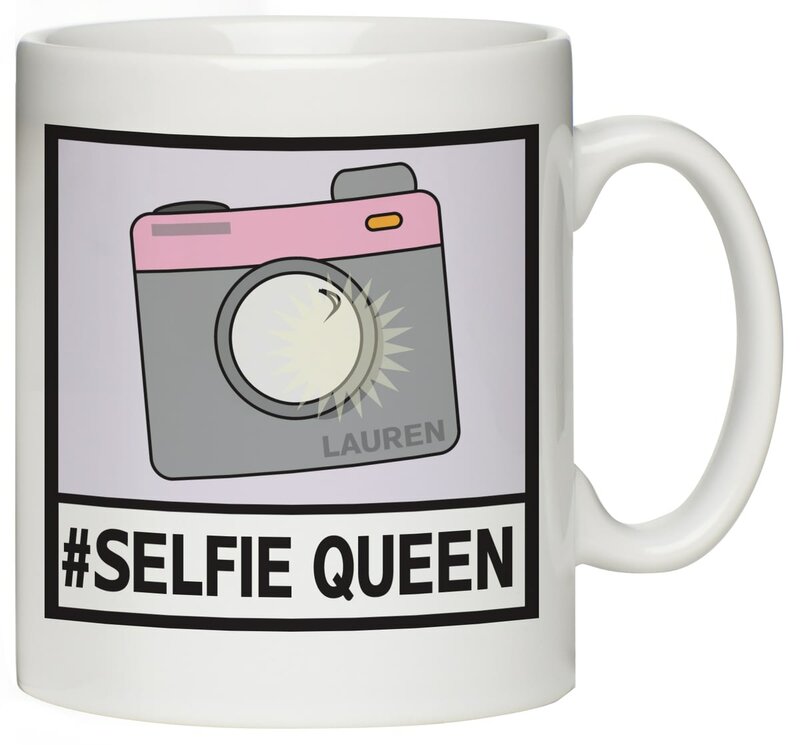 A personalised ceramic mug with a colourful design which appears on the front and back. The recipients name is subtly added to the bottom right hand corner of the camera. Keep your colleagues' hands off your personal drinking vessel by changing it for this warning mug. The distinctive mug is personalised with your name and your beverage choice. Personalise this 11oz ceramic mug with a name of up to 15 characters. Personalise this 11oz white ceramic mug with your chosen name of 15 characters and their age. If you require the name in UPPER CASE, please enter it in this way when ordering. If you're considered the office drama queen, or you know who is, this is an appropriate coffee or tea break mug.